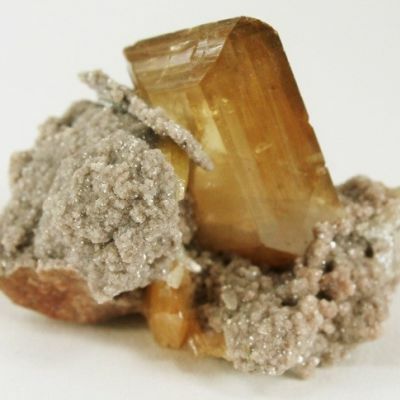 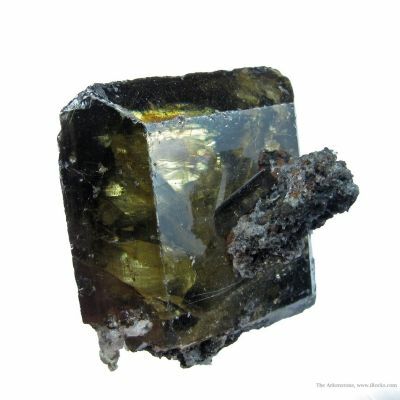 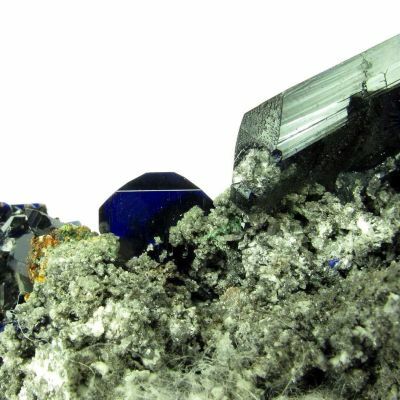 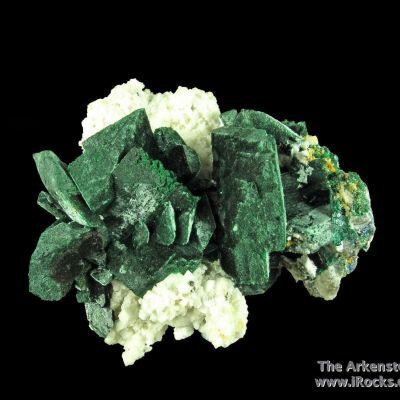 Gemmy, amber wulfenite crystals to 1.0 cm are festooned on three sides of the sculptural matrix of solid, massive tennantite of this very fine old-time specimen from the Tsumeb Mine. 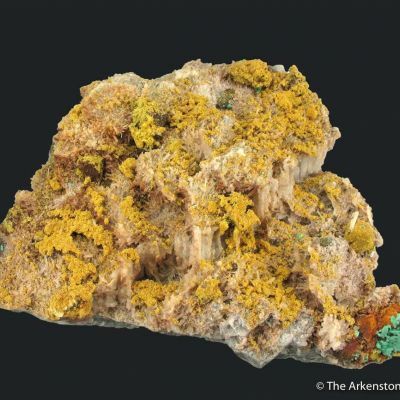 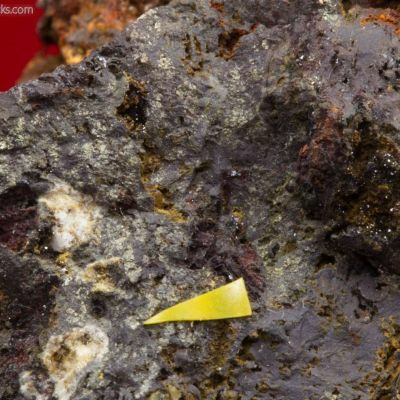 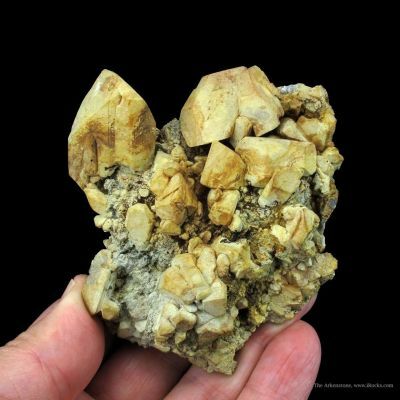 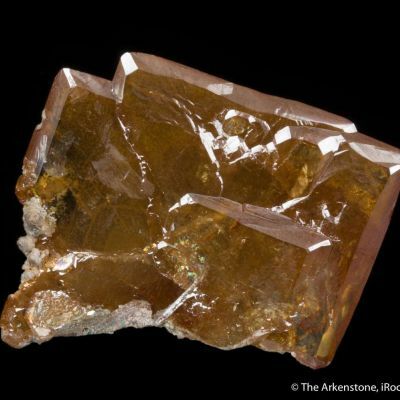 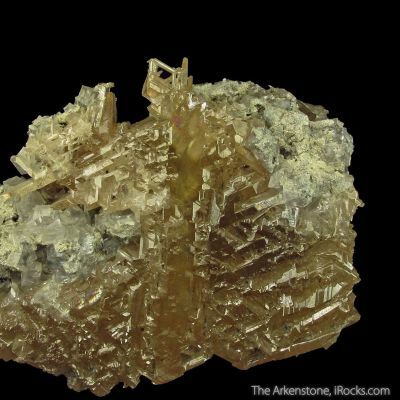 Two of the wulfenite outcroppings are beautifully accented with reticulated and single cerussite crystals. 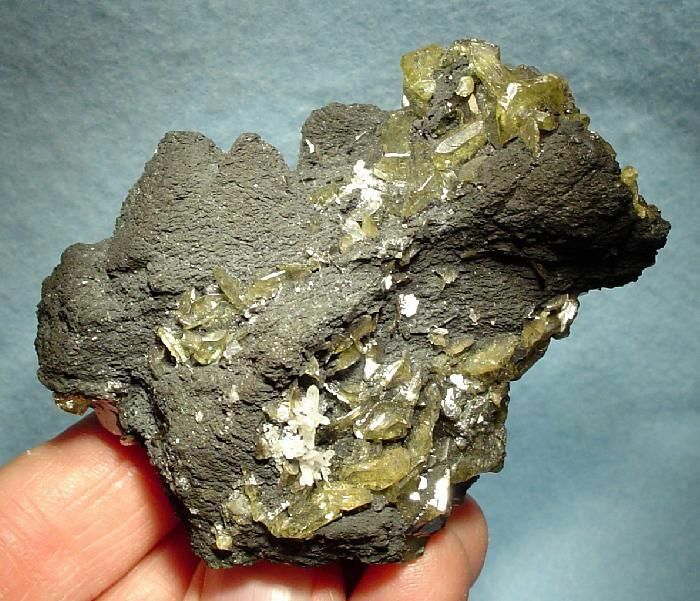 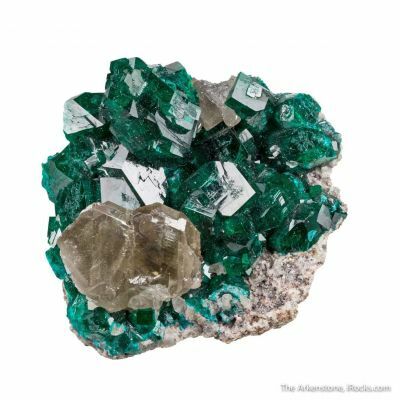 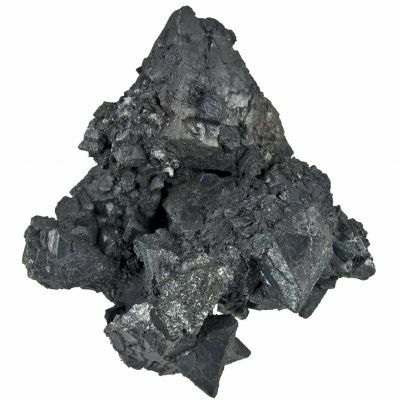 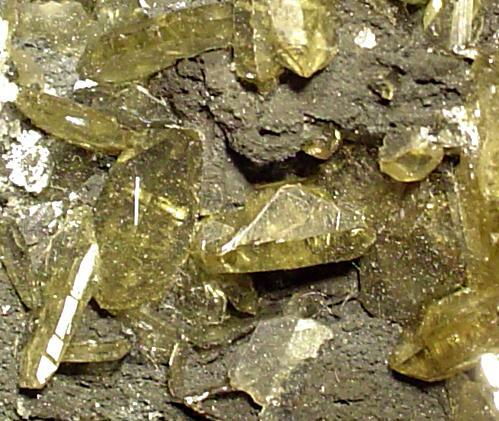 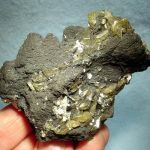 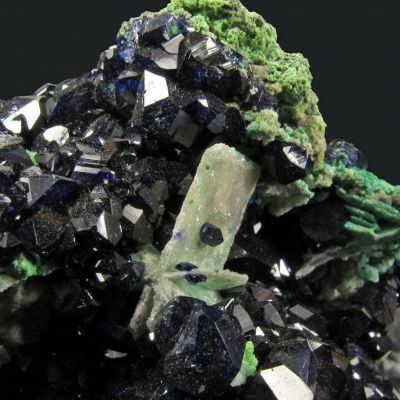 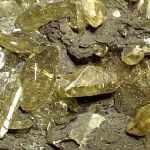 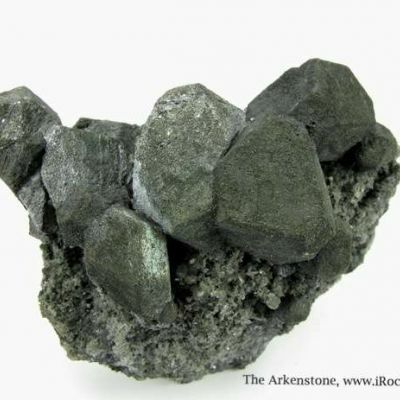 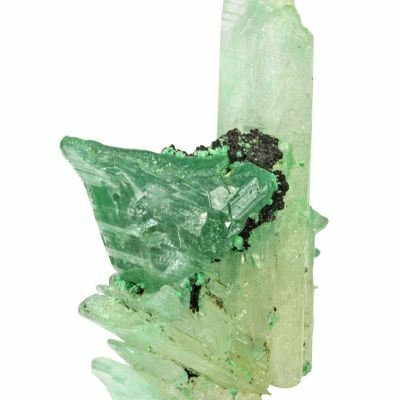 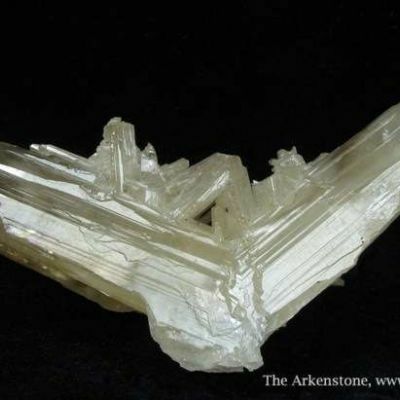 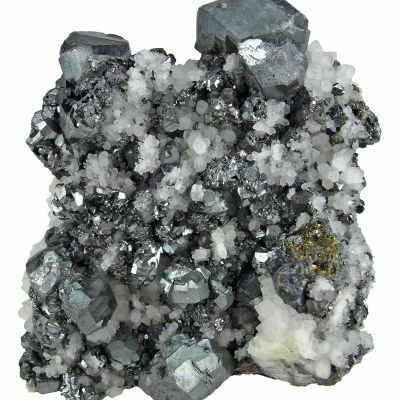 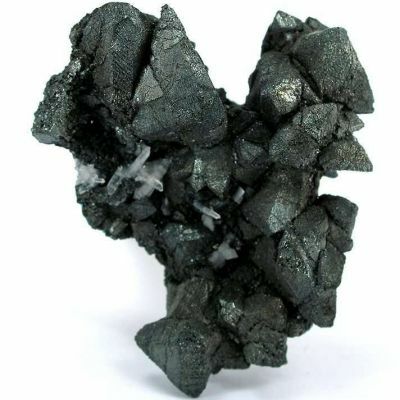 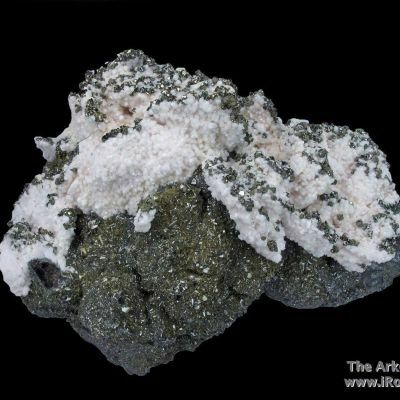 The whole specimen is capped by two "mountains" of sharp, tetrahedral tennantite crystals to 1.7 cm. 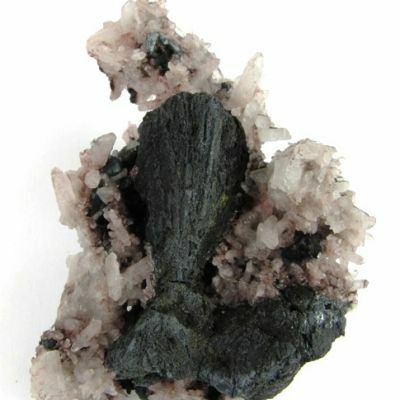 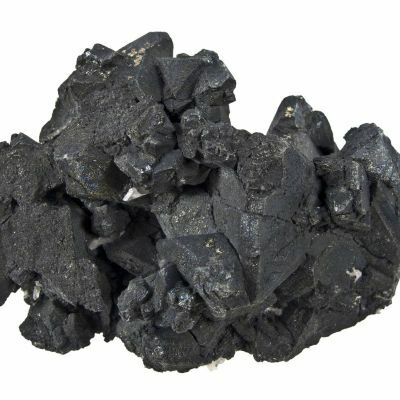 Classic combination material from this historic mine. 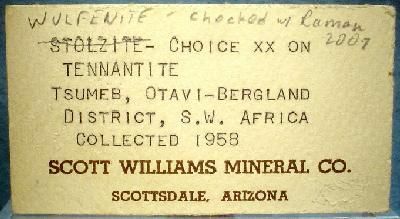 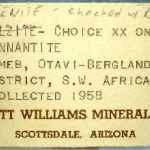 The Scott Williams label, dating from 1955-1961, indicates that the piece was collected in 1958.